The Baba Yaga is our in-house multi-purpose 6 way power strip product, and the M1 is a 6 way power strip and our entry-level model. In terms of finish and construction it is way better than all the locally commercially available products found in hardware stores or electrical supply chains, the M1 is made-out of steel and allows the freedom to use your own power cables and custom lengths to suit your needs. Our multi-purpose mains distribution strip only comes in 3 prong modules since we believe that two prong plugs are noisy due to arching (lose connections). If you want to use 2 prong devices, use your own adaptor, we’re not going to compromise. We do recommend that if option permits, cut the 2 prong plug from your component’s cable before installation and replace the plug with a heavy duty 3 prong plug. 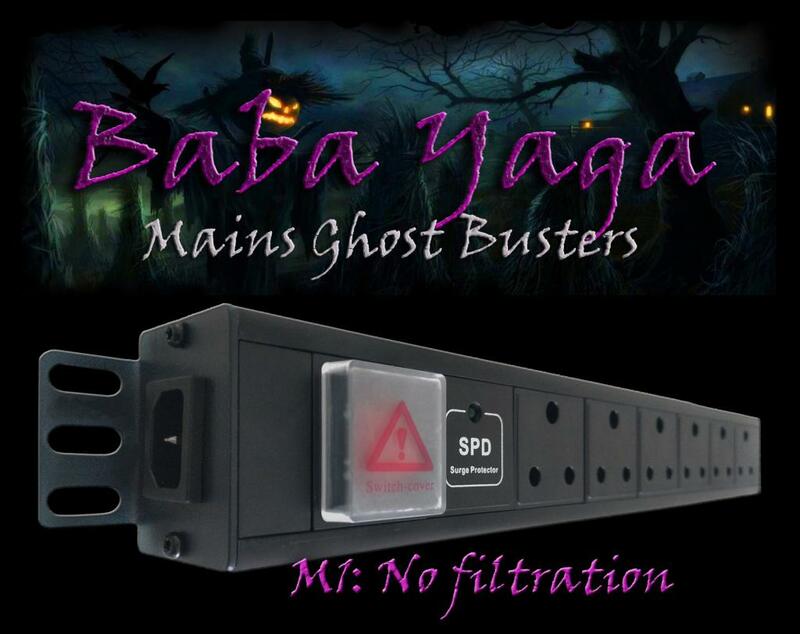 The Baba Yaga M1 entry-level distribution strip does not filter the mains but offers surge protection.